If you're anything like me, you slobbered all over Project Setsuna's first trailer, which made its debut during a Sony Japan event held in September. What's happened in the two months since? Not a whole lot--again, if you're like me. Although maker Square Enix promised this breathtaking PS4 and Vita RPG would hit the streets of Japan "early next year," that was too far away for my puny little brain so I pushed its released onto the proverbial back burner until the date was a bit closer. Admittedly, it's still three months away as I type this post, but at least now those of us who are interested in the game have a solid release date--Feb. 18--to focus on moving forward. 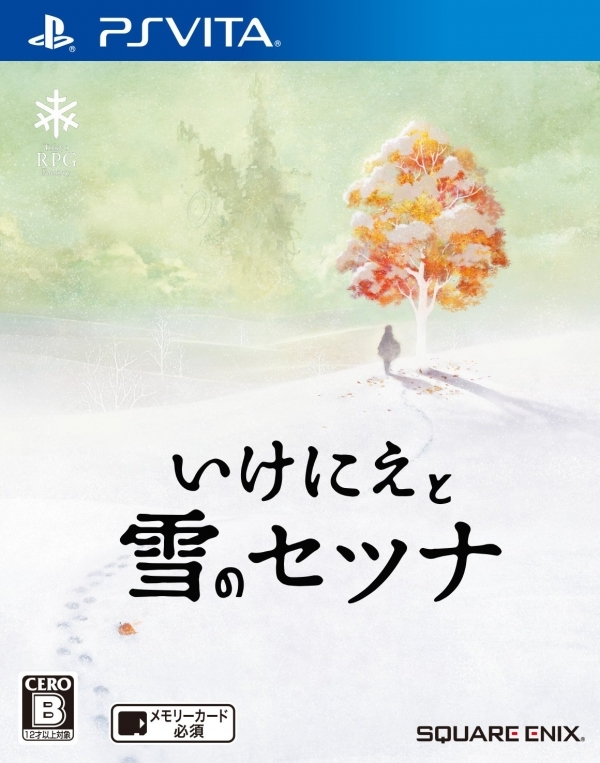 We also have a final name--Ikenie to Yuki no Setsuna, which I've been told translates to something like The Sorrow of Sacrifice and Snow--a retail price (4,800 yen, or about $39) and a cover illustration. The only thing we're missing at the moment: a handy pre-order link. OK, so Play-Asia has a pair up on its site--here's the one for the PS4 version and here's the one for the Vita version--but I prefer to buy upcoming and current Japanese games via AmiAmi, so I'm waiting for it to allow pre-orders before finally biting the bullet (on the Vita iteration, naturally). 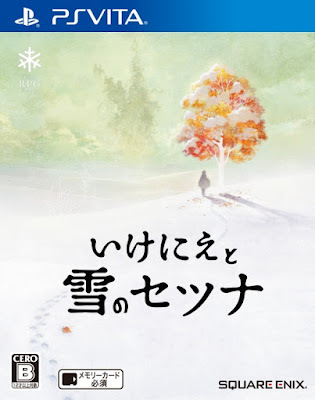 Are any of you planning to buy one or more copies of Ikenie to Yuki no Setsuna? Or are any of you hoping it'll cross the pond and find its way onto the store shelves in your neck of the woods? If so, please let me and others who visit this blog know all about it in the comments section below when you have a free second or two.